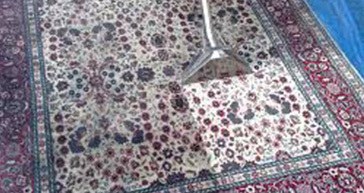 Despite all your best efforts to keep your cosy Persian or Oriental Rug clean, it accumulates dirt and grime over time. You probably, do not know how to get rid of the stubborn stains or pet smell on your favourite Chinese Rug? Worry not! 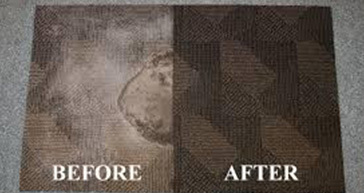 Steam cleaning or hot water extraction system is one of the ways professionals use to clean rugs. It has become popular in the recent past but very few people understand how it works and its associated benefits. It involves using vaporised water mixed with appropriate detergents to clean your rugs. The vapour heats to an exceptional degree and a vacuum-like machine is used. The heat interacts with the rug's fibre breaking down all the dirt and grime. Powerful vacuum motors collects the dirt and debris gathered by the solution, leaving no residues. Although steam cleaning is not entirely chemical free, it is a safe cleaning option for yourself, babies and pets. Besides making cleaning easy, it has numerous benefits. The hot vapour and preparations melts the dirt and grime that your rug holds by weakening its bonds. Removing even the most stubborn smell on your rug is easily done. The system reaches the deepest layer of the rug offering a better cleaning than shampooing or vacuuming. Fungus, mould, and bacteria need a moist or dirty rug for them to thrive. Some of the conventional cleaning methods will not completely remove them. Fortunately, the method we choose to use of steam cleaning kills all the unwanted invaders in just one cleaning! We have the right tools and certified cleaners to do the work. Fortunately, our clients do not have to bring their dirty rugs to us. We come to your home and get the work done there. The rug will not be even moved and we will leave it with you almost dry. Our services are impeccable and prices are affordable! Contact Fully Carpet Clean today to make a booking! Call us now for a free instant quote! Fully Carpet Clean is compiled of hard working and friendly cleaning technicians who are bringing new life and freshness to carpets and upholstery. 2019 © Copyright Fully Carpet Clean All rights Reserved.